Enjoy the perks of rising through the ranks of your Los Santos and Blaine County business ventures with The Business Update, coming next week on Tuesday March 4th to PSN and Xbox Live. 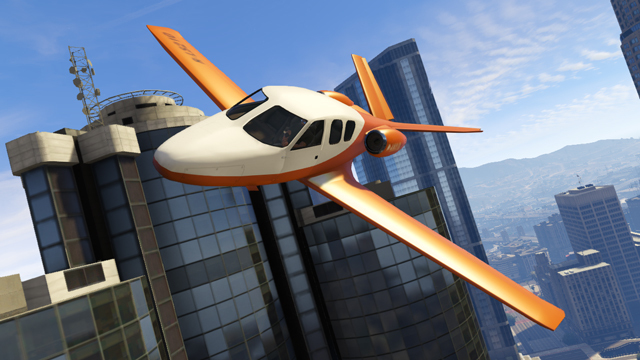 Thrill-seekers and weekend warriors can hop in any of three all-new, blazing fast sports cars: the Albany Alpha, Dinka Jester and Grotti Turismo R... or take to the skies in the new Vestra airplane. Just like the recent Valentine's Day Massacre Special, the new vehicles and weapons will be available in both Story Mode and Online. 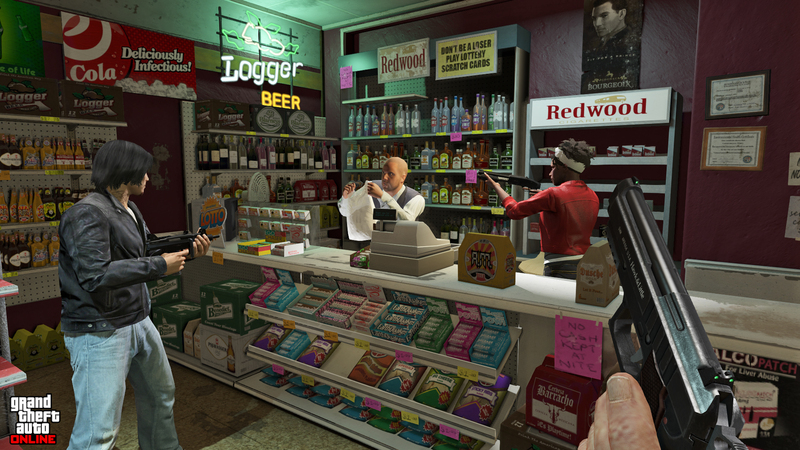 In Story Mode, weapons will be deposited into all three characters' inventory with two full ammo-clips and all three cars are accessible from their garage properties. 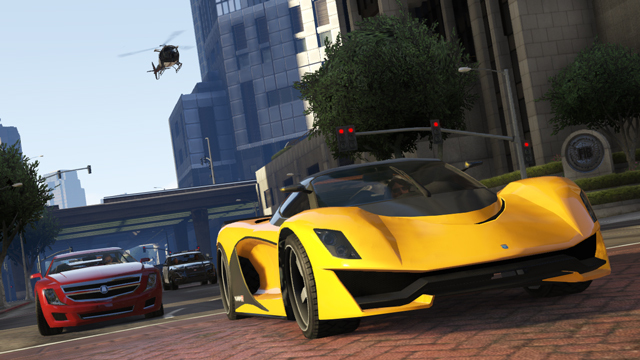 In GTA Online, you'll be able to purchase the new weapons and their attachments at any Ammu-Nation location while the vehicles will be available for purchase from Legendary Motorsport and Elitas. 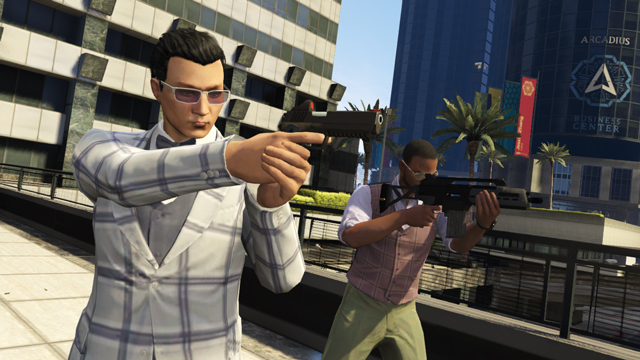 As we still await word on the Heists, we continue to get updates on the new content heading our way, including the mention of a Capture Creator Tool in the works, and Story Mode updates including new Assassination and Flight School Missions. Join us in the Forums to discuss more! At exactly what time on March 4th does the update come in effect? @ThisGuy Rockstar hasn't provided one. So very stoked for this update! I don't know whether to drool or fap first. 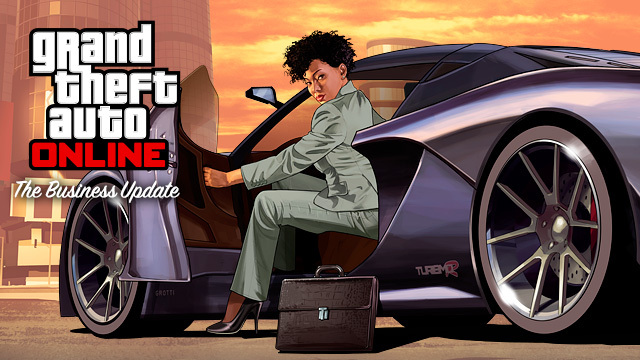 The Business Update DLC Coming March 4th - New Vehicles, New Weapons, New Business Clothes.